I'm trying to get 2 strips of 3 x 8"
My printer has got a 6x8" roll. Unfortunately it is not able for me to find the right layout settings into your program. I want a portrait mode strip with 3 or 4 widescreen photos. Please let me know how to do this in Sparkbooth. 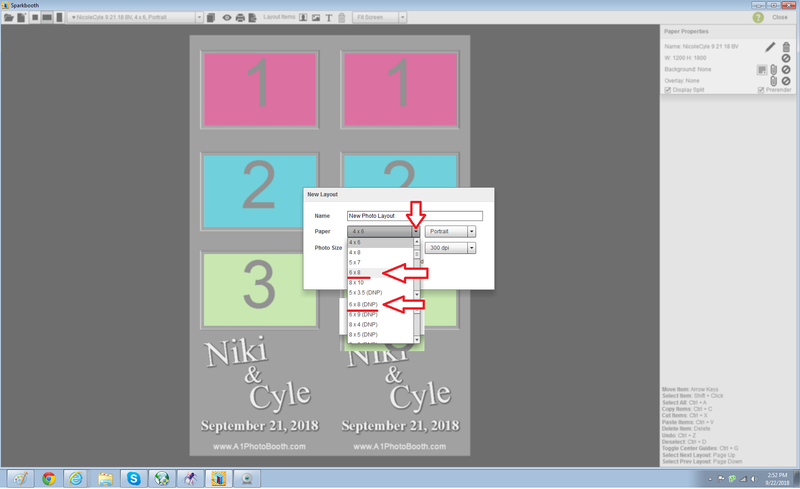 select a paper size of 6X8?